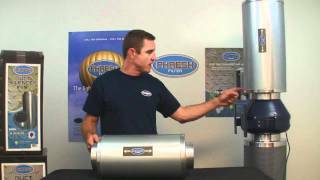 The Phresh Filter Difference - Carbon Air Filters for Hydroponic Gardening from Hawthorne Gardening Company Phresh Filters ~ For The Cleanest Air Around! Weighs half the weight of competitive filters. Aluminum tops and bases for reduced weight. Phresh Filters ~ For The Cleanest Air Around! Weighs half the weight of competitive filters. Aluminum tops and bases for reduced weight. 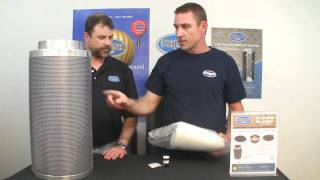 Phresh Filter Carbon Story Listen to Bill Graham explain the benefits of the Phresh Filter Carbon. Phresh Intake Filters remove 99.9% of bugs, molds, pollen and dust. Use for intake filtering, scrubbing and low intensity exhaust filtering. Ultra light filters use advanced nano carbon felt technology. 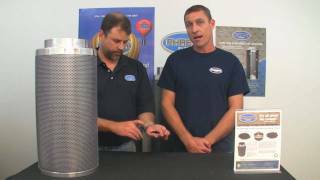 Listen to Bill Graham explain the benefits of the Phresh Filter Carbon. Phresh Intake Filters remove 99.9% of bugs, molds, pollen and dust. Use for intake filtering, scrubbing and low intensity exhaust filtering. Ultra light filters use advanced nano carbon felt technology. 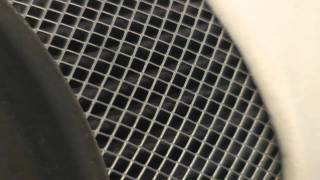 Phresh Intake Filter Video Phresh Intake Filters remove 99.9% of bugs, molds, pollen and dust. Use for intake filtering, scrubbing and low intensity exhaust filtering. Ultra light filters use advanced nano carbon felt technology. Phresh Intake Filters remove 99.9% of bugs, molds, pollen and dust. Use for intake filtering, scrubbing and low intensity exhaust filtering. Ultra light filters use advanced nano carbon felt technology. 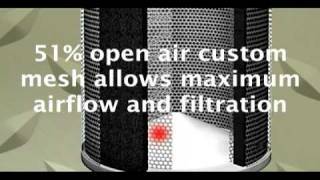 Phresh Silencer Video Phresh Silencers feature sound reducing acoustic foam that decreases fan noise by up to 50%. Attach a Phresh Silencer to the intake or exhaust side of an inline fan. Use on both sides for maximum sound reduction. Use with fans in conjunction with carbon filters, light systems and more. Phresh Silencers feature sound reducing acoustic foam that decreases fan noise by up to 50%. Attach a Phresh Silencer to the intake or exhaust side of an inline fan. Use on both sides for maximum sound reduction. Use with fans in conjunction with carbon filters, light systems and more. The Phresh Filter Difference Demand RC-48 Activated Carbon: To ensure total air filtration, there are several important factors to consider. The first and most important factor is carbon grade choice. Grade RC-48 carbon. Because we use the purest available &quot;activated virgin&quot; carbon and our granulated carbon has more surface area than pelletized carbon, we can use significantly less carbon, thus making our filters half the weight of competitive filters. Demand RC-48 Activated Carbon: To ensure total air filtration, there are several important factors to consider. The first and most important factor is carbon grade choice. Grade RC-48 carbon. Because we use the purest available "activated virgin" carbon and our granulated carbon has more surface area than pelletized carbon, we can use significantly less carbon, thus making our filters half the weight of competitive filters.